2. Allow a user to specify a region if "Zoomed annotations" or "Sequence details" is selected. 3. Specify an image resolution and width/height for raster formats. 4. Export annotations as objects when exporting to vector format SVG. 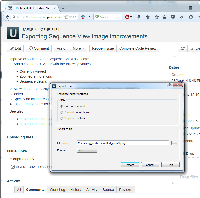 UGENE-3021 Export only the selected region when "Export as Image"
Export of "Currently viewed" to SVG does not work. The output picture is a raster image, not vector. 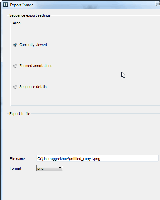 German Grekhov added a comment - 29/Jul/15 9:00 AM Testing 3: Export of "Currently viewed" to SVG does not work. The output picture is a raster image, not vector. Removed PDF from the formats because the result of all 3 export areas for PDF is awful. Disabled SVG for the "Currently viewed" area. It should be described in the documentation. German Grekhov added a comment - 02/Aug/15 5:51 AM Removed PDF from the formats because the result of all 3 export areas for PDF is awful. Disabled SVG for the "Currently viewed" area. It should be described in the documentation. Denis Kandrov added a comment - 15/Jun/16 6:02 PM Checked. Yuliya Algaer added a comment - 25/Jul/16 3:34 PM Reviewed.